For more than a decade, Prime for Scientific and Technical Supplies has been a leader in providing innovative and state of the art solutions to the scientific community in the region. Today, we still stand true to our aim to continue serving the scientific community with effective partnerships and innovative solutions. 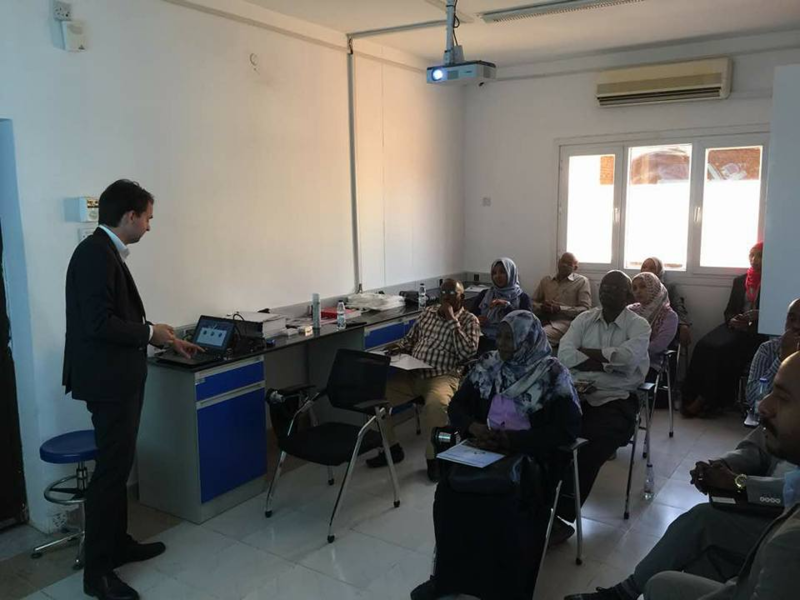 With our experienced team of scientific experts and a wide knowledge of methodology and application, we are not only able to provide solutions off the shelf, but our dedicated team will walk you step by step to ensure that you, our valued client get the most suitable solution for your requirement. Our portfolio contains a diversified range of products, services, and value added services. 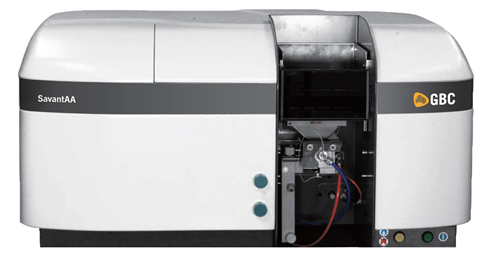 Whether your requirements is just to procure basic laboratory items or need a full scale laboratory, our capabilities and our partnerships with our suppliers are at your disposal to utilize. For more than 17 years, our clients have put their trust in us. And we hope you can put your trust in us as well. We present to you, our valuable clients, the best brands in the scientific market from around the world. Our brands cover a wide spectrum of applications, and this is what gives Prime the capability to serve your needs all in one place. Prime, Your One Stop Shop For All Laboratory Supplies. Our brands come from the topmost category of manufacturers who have certified quality management systems and the deepest interest to provide the best user experience to their clients worldwide. 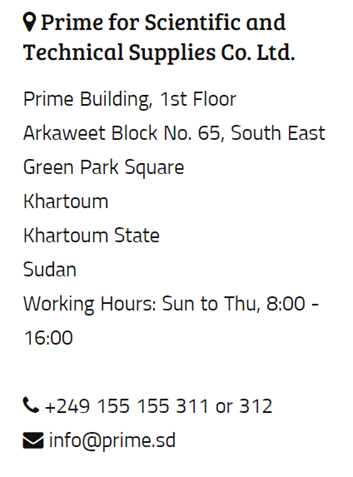 Prime, represents these reputable manufacturers in Sudan, and it is through our exclusive agreements that we can extend all the warranty and aftersales services with the quality and dedication that our clients expect from us. 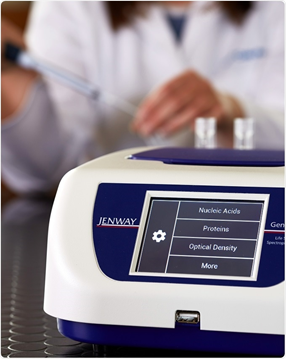 Life Sciences, Spectrophotometry, and much more! Enjoy our three tiered aftersales services packages, designed to provide you with the best customer support for your equipment. Our basic package (Prime Basic) is given with any of your purchases and includes standard warranty and on-call customer support. This involves provision of spare parts, technical support, basic operation training, and on-call maintenance service. 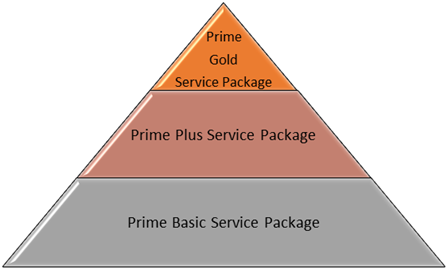 If you wish to benefit from the higher tier packages we offer, you can choose to purchase a Prime Plus or Prime Gold Service Package. In these packages, you get extended warranty, preventive maintenance programs, discounts on spare parts and service fees, and much more! With our new online portal, you can be connected at all times via your phone, tablet, or PC. Check your orders, shipments, invoices, or pending issues; or register your instruments online to activate your warranty. You can also request a quote, or ask for technical support. Or you can surf through our webshop and make all your purchases online! to our clients through continuous training and support. For more information on available courses visit our training portal here. Customer Service is in Our DNA. Providing aftersales service to our clients is not just another job we commit ourselves to. 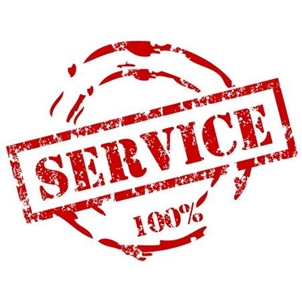 It is ingrained in our DNA to be with our customers and provide aftersales service as: warranty, repair service, consultation, application know-how, troubleshooting, and repair service. You can even subscribe to any of our customer service higher tier packages and get the customer care that delights you. Whatever you want, we are there to serve you. 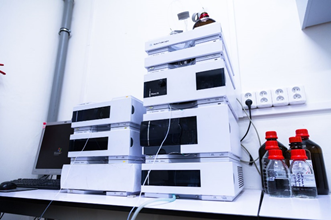 Our commitment to our valued clients is that we design your lab, and we install it. 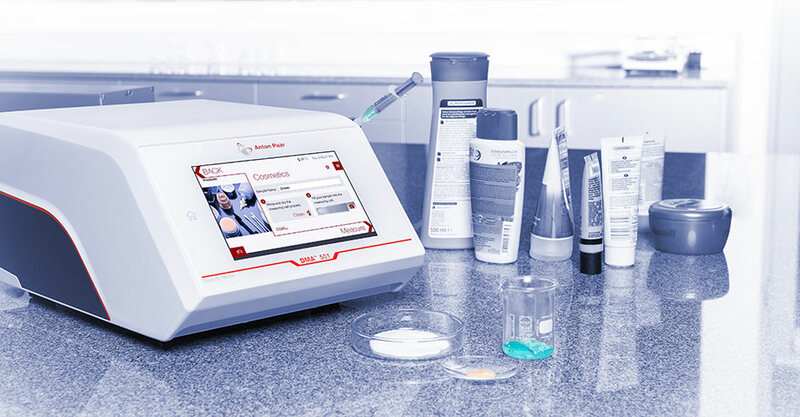 Using the best materials that have been tried and tested against the most demanding laboratory conditions to ensure your safety and well being, all keeping in mind the usability and ergonomics of the lab. 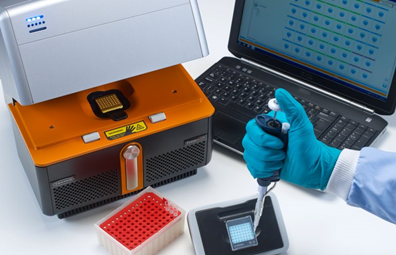 Whether it’s a small lab for a research group, or a complex of standardized laboratories, our team of experts with 20 years of experience in laboratory consulting will assist you in finding the best solution that is in agreement with standard practices and laboratory quality systems. We offer our valued client the service of providing turn key project solutions from A to Z. Starting from the conceptual proposal, going through the design stage all the way to the implementation and hand over stage, we aim to provide our valued clients with a smooth landing onto their required project in order to utilize its capabilities in the best possible way. 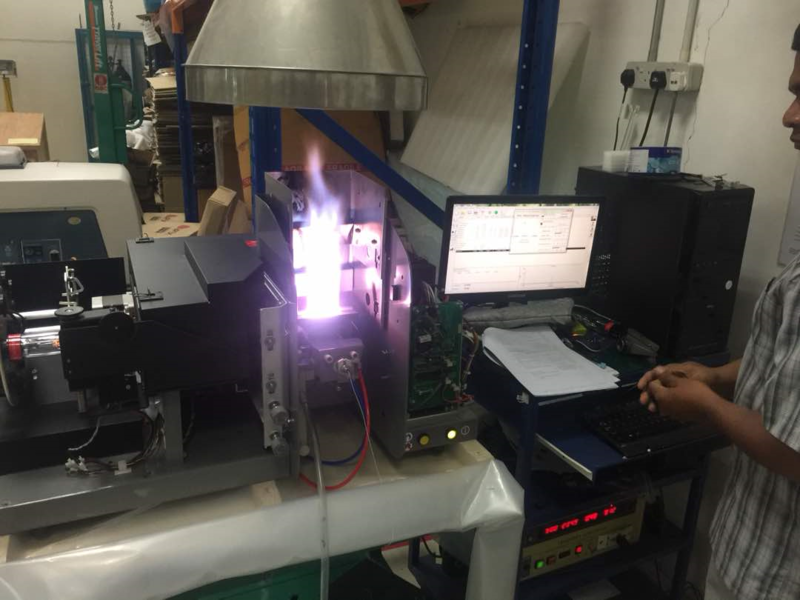 We can assist our valued client in erecting a full fledgling laboratory from the grounds up to the labware and instruments, with complete value added services of warranty and after sales support to ensure full compliance to best laboratory practices, and full satisfaction of our valued clients with the job done. So just sit back and relax, hand us over your concept, and we will hand you back the keys to your dream project. here, and we will get back to you at the nearest opportunity.